Summer, thank you so much for helping us raise money for such a great cause. 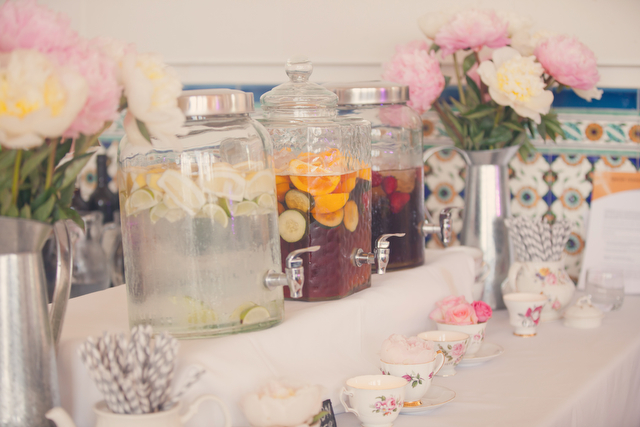 ‘The Recipe’ would not have been so gorgeous without your amazing tea cups for high tea! Looking forward to working with you again. Just a quick note to say how many great comments I had about the beautiful tiered cake stands we hired to celebrate my friend's 70th birthday. They looked stunning, and everyone, oldies as well as the younger ones, agreed that it is lovely to have an occasion to use such fabulous china. The High Tea was a huge success. Thanks again. My baby shower was indeed a special occasion. The tea sets were stunning, it created a unique, cheerful atmosphere and everyone had fun sipping from them which bought back memories from when I was little girl playing tea parties – but more graced up. We also received fabric banners with cute vintage patterns on them and they were hung at the very top of the wall above the windows & looked amazing. The service was prompt and brilliant, I will be sure to use this service again. Cheers Summer! Our Courtenay Place restaurant and bar recently held a Champagne High Tea. Through the use of ‘The Vintage Party’ we were able to embellish the restaurant to be in theme with the event. Thanks to the easy going and friendly service provided by Summer and the use of her stunning china pieces this event went off without a hitch with the whole place looking amazing and all parties involved having a ball. I used The Vintage Party for my wedding and I was so happy I did! The china complimented our theme perfectly and I had lots of comments on it. Summer was very helpful and I would highly recommend her business to anybody looking for something a little special for their event. My husband and I used the The Vintage Party for my wedding in December and we are so happy we did. We hired 12-13 cake tiers and some teapots which were spread out along one long table in a garden. Everybody loved it and it is still a talking point. It bought another level of sophistication and a point of difference instead of the bulk standard wedding. Summer was really lovely to deal with and made everything just easy, and when planning a wedding that is exactly what you need. So thank you so much for all your help and the use of your lovely collection. The Vintage Party was such a blessing to find! Their kind manner, product quality and service was outstanding. The products were a great feature of our wedding and made it that bit more special! I will certainly be calling on The Vintage Party in the future for any hireage needs! ​Tim and I cannot thank you enough for the vintage props you supplied us for our wedding. The items added that extra touch to our beautiful day. As we planned our wedding from overseas, your efficiency was truly appreciated. You were also very accommodating with when we could pick up and drop off the items. Your passion for what you do is shown through your professional service. We will definitely recommend you to others. Thank you so much summer. Was very helpful to have drop off and pick up as this meant less time having to worry about this extra hassle. Summer is super friendly and helped set up the bigger props. Each item we booked was exactly as the pics. Made our baby shower vintage theme extra special. Would definitely hire again in future.